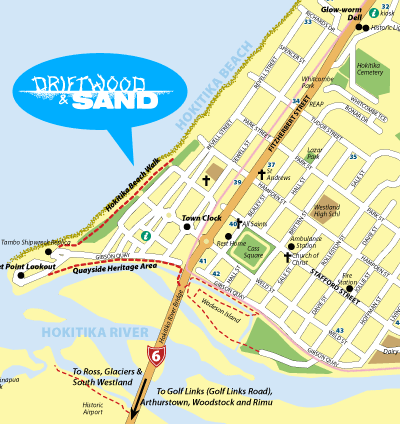 In 2019 Driftwood & Sand is running between Wednesday 23rd and Sunday 27th January. Prize giving will be at 2pm on Sunday 27th January. This year we are fortunate to have Taiwanese landscape artist Lee Kueh-Chih as our guest judge. He has worked in many locations around the world creating large interactive pieces of art using natural materials. We're still on the Hokitika beach, but we're further south this year, due to there being more Driftwood and Sand there! The competition will take place at Sunset Point, and our caravan and gazebo will be set up next to the Tambo Shipwreck Memorial. Click here for more details on the move. Anyone who wishes to register a sculpture may take part. This is an event for everyone, not just artists, especially people who are looking for an excuse to spend time on a wild and beautiful West Coast beach. Even those who only wish to watch and marvel can take part by voting for their favourite artistic creation. Any registered sculpture made from beach material is eligible for prizes. Fixings are allowed but must be kept to a minimum and removed later. No dangerous or poisonous substances are allowed. No glass.